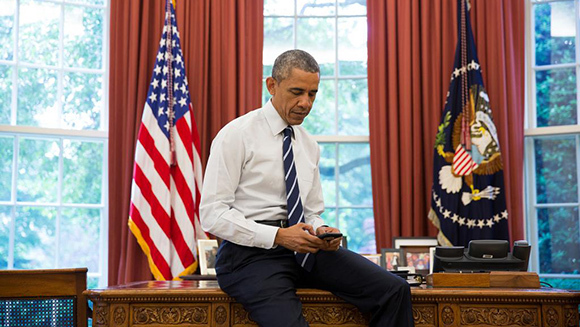 Obama tweeting in happier days. Speaking at a journalism event in late March 2016, American President Obama had this to say according to the Washington Examiner. Ten, 20, 50 years from now, no one seeking to understand our age is going to be searching the tweets that got the most retweets, or the post that got the most likes … They’ll look for the kind of reporting, the smartest investigative journalism that told our story — lifted up the contradictions in our societies and asked the hard questions and forced people to see the truth even when it was uncomfortable. Consider what the scale of this dataset means. Social and cultural historians will have access to the thoughts, behaviours, and activities of everyday people, the sorts of which who are not generally preserved in the record. Military historians will have access to the voices of soldiers, posting from overseas missions and their bases at home. And political historians will have a significant opportunity to see how people engaged with politicians and the political sphere, during both elections and between them. The scale boggles. Modern social movements, from the Canadian #IdleNoMore protest focusing on the situation of First Nations peoples to the global #Occupy movement that grew out of New York City, leave the sorts of records that would rarely, if ever, have been kept by previous generations. During the #IdleNoMore protest, for example, twitter witnessed an astounding 55,334 tweets on 11 January 2013. If we were to take the median length of a tweet (60 characters), the average length of a word (5 characters plus a space), and think about 300 words per page, we’re looking at over 1,800 pages. This for a single day of a single social movement in the relatively small country of Canada. Stay tuned for our piece. And if you can’t wait, you can read our pre-print draft here. Natural provisos: I guess it goes without saying that I actually really sympathize with Obama’s overall comments re: journalism. As part of a dying breed of people who still gets a print newspaper every morning, and as a historian who uses tons of print journalism in his own research.. let’s hope we can have both. Right?